Q: Is “Winter’s Tale” a story about love? 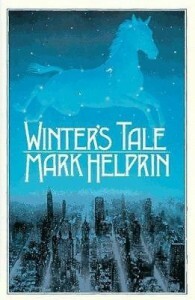 Q: As all good love stories do, does “Winter’s Tale” feature a magical, winged space horse? Q: What is the magical, winged space horse’s name? Q: Is “Winter’s Tale” the dumbest movie that you've seen in the last year? Q: Why is “Winter’s Tale” so dumb? A: Well, first of all, this is a movie that takes itself so seriously, even though the main character, Peter Lake (Colin Farrell), flies around on a magical, winged space horse. Q: Does the magical, winged space horse actually fly Peter into space at some point during this movie? Q: Is it weird that now I want to see this movie? They had me at "magical, winged space horse." Sometimes you find yourself in the mood for a book with depth and challenging commentary, and sometimes you just want a flying horse in fantasy New York. Excuse me, winged space horse.